Previously, this view only included what you see on the left-hand side of the picture. Now, we’ve got a few more options at our disposal, functionality that leads us to now refer to this tab as the Model tab. 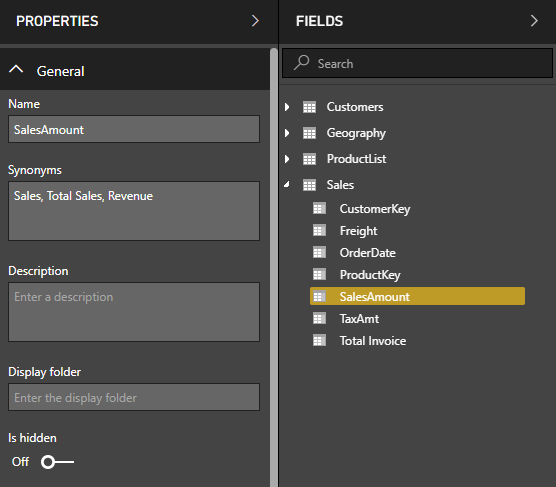 By clicking on tables and columns we have the ability to change properties in one easy-to-access place, allowing us to provide more information for the analytics tools available such as Q&A. For example, we can provide synonyms for certain items in our field list, helping Q&A to translate “business speak” into actual data references. 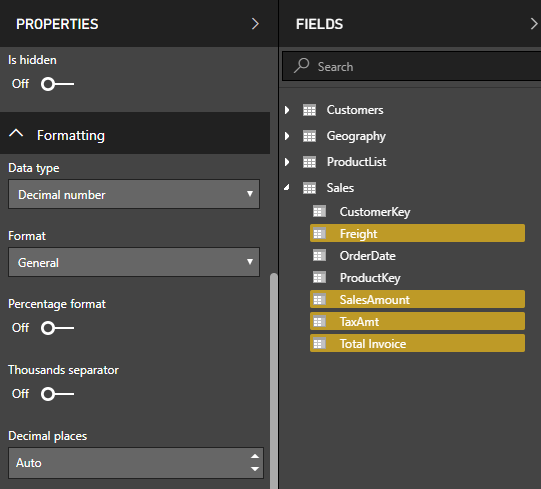 In this view, we also have the ability to change parameters for multiple fields simultaneously. This means that we no longer have to change details one field at a time, making it much easier to standardise the presentation format of your dataset. We can also store and change the way that we view the diagram / relationship view, allowing us to save multiple instances and look at our relationships from different perspectives. 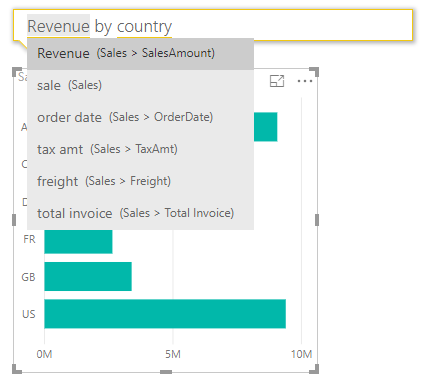 All in all, this is a welcome update to the way we interact with our Power BI datasets! Check back next week for more updates and new features that have been recently released!